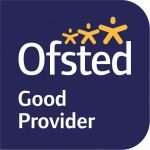 We are so proud to announce that following our recent, and first ever, Ofsted inspection that we have been rated as ‘Good.’ This is a fantastic achievement for the whole team and we couldn’t have got there without the everyone pulling together to deliver the best possible training for our learners. The information, advice and guidance that learners receive at the start of their programmes are good. Trainer assessors meet with employers and learners to ensure that the programme meets their needs. As a result, learners are on the right course at the right level, and the qualification units chosen match closely the interests of learners and their job roles. Trainer assessors identify relevant career choices throughout the programme. And, we practice what we preach – our team’s development is important to us. We make sure that our trainers are at the top of their game so that they can give you and your team the best possible learning experience. The continued professional development and training for all staff has a high priority, supported by a 24-month professional development programme designed to develop a team of teachers qualified to level 5 in learning and development and coaching and mentoring. Performance management is clear and effective. Highly valued staff contributions support the mission, vision and development of the company. Staff development is good. It has a clear two year focus on improving teaching, learning and assessment and supporting the company’s strategic direction. Employer relationships and links to local communities are strong and bring positive benefits to businesses and learners. Staff are well qualified with highly relevant experience and have high expectations of learners. Learners receive good advice and guidance that support their next steps and career development well. Learners are confident, contribute well to teamworking and show good interpersonal skills. Adult learners develop good, relevant skills and knowledge as a result of their training. Why don’t you talk to us about how we can help you realise your potential!